Cost $25 USD, includes shipping. Media copies: Softcover and Audiobook copies are available upon request. Margo talks about her first book, P.S. Don’t Tell Your Mother. She describes Nana Noonan, her real-life grandmother, one of the principal characters in the P.S. Series, and her upcoming book, The Queen of a Gated Community. 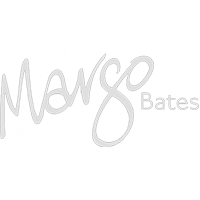 Photos: Unless otherwise noted, all photos on this website are by Margo Bates©. History of Telkwa – Grandad Noonan was the first station agent in Telkwa for the Grand Trunk Pacific Railway. Walking Tour of Historic Telkwa – Check out #2 St. Stephen’s Anglican Church, across the alley from #5, Nana and Grandad Noonan’s house. # 7 is Phillips & Shepherd’s General Store and #15 Hong Chong’s Laundry & Bath House was purchased by my parents, and they renovated it into a café.